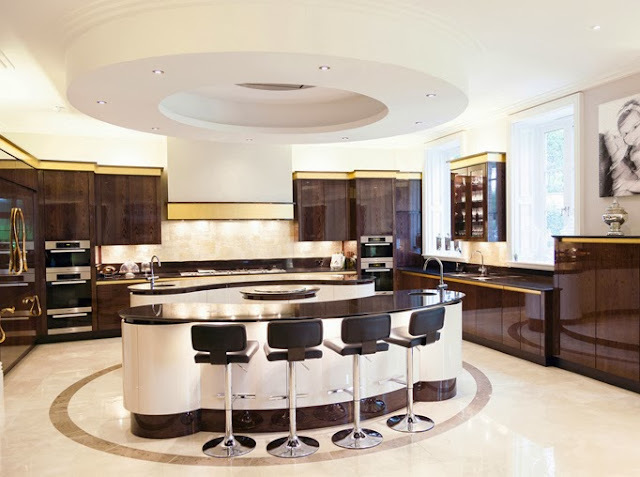 That is such an amazing kitchen design! I mean wow, you have an amazing kitchen and I really want one like that in my house. I love these curved units but we will now need to modify our kitchen design software to accommodate them and that won't be easy! Wow! Very spacious and modern kitchen design. Definitely I would love to cook dishes and get socialize with my friends in that kitchen! Love multi-island designs. We've done them where one is set up as stone and one is a large butcher block for food prep. Most don't have the room for these but like you say if you do they're much better than a huge island where the center of it can't even be reached. Wow! I love this modern kitchen design. I love the lighting, the island table, the color, the cabionets, and everything I remembered this kitchen designs I saw last week. It has different wonderful kitchen designs too. Wow! 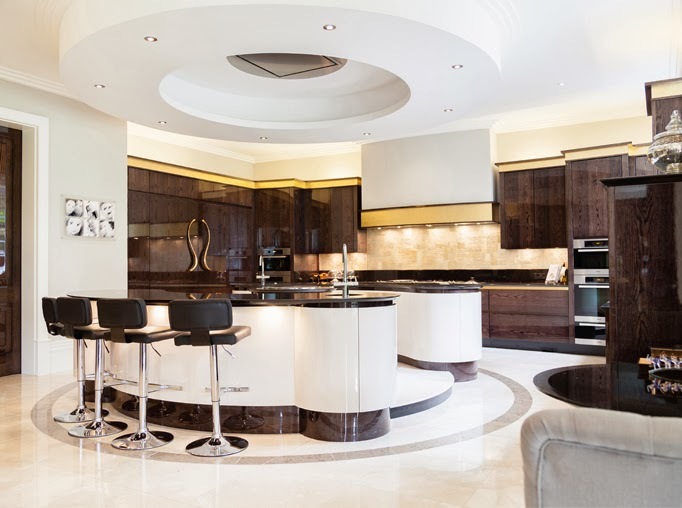 The lighting, the flooring, the granite worktops, the cabinetry are looking spectacular. Brilliant ideas are moulded here I see. Very useful and informative blog I must say. wao this is to large kitchen and if this types of kitchen can be design than now i can design my kitchen to nice with help of this post. Fab...you don't need a dining room with a kitchen like this! But if you've got this kitchen, your other rooms are going to be pretty amazing too. Really great island. Design, lights, colors are perfect! Wow this is a stunning kitchen will take sum of it to get my creative juices flowing! Indeed, I am very curious who the owner is of this beautiful kitchen! Absolutely love it! The multi island idea is also very nice! Great post, thanks! Wow!!! Beautiful Kitchen!!! I love it. I like every corner of this kitchen. Thanks for the post. Wow i like your blog it's so beautiful. Kitchen is the heart of a home. and i like your kitchen its to good. Thanks! for sharing beautiful post. That kitchen design is superb! How I wish to have one! Thanks for letting us see that beautiful kitchen. Lucky is the owner. As an experiment I'd like to see it in different colours by the way. 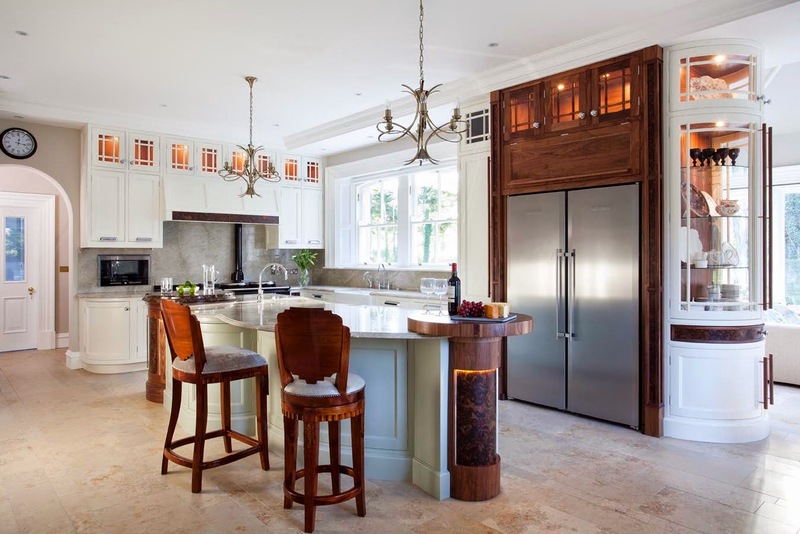 Wow, that is a really beautiful kitchen! I want to renovate mine and make it more modern looking. Especially because that is where we are always hanging out as a family! Its beautiful to have a kitchen like this, but its beyond most peoples budget. Great post! check out www.novelremodeling.com for kitchen remodeling and general remodeling in Los Angeles. Amazing, nice creativity and fabulous designs. I would love a kitchen with an island in it. I'm going to have to move to bigger house first. I would like to find a house that is bigger than what I have, but something I wouldn't mind tearing out the kitchen and making my own design. Beautifully design luxurious as well spacious kitchens. Sitting arrangements are nice and use of LED lights with color combination is also attractive. 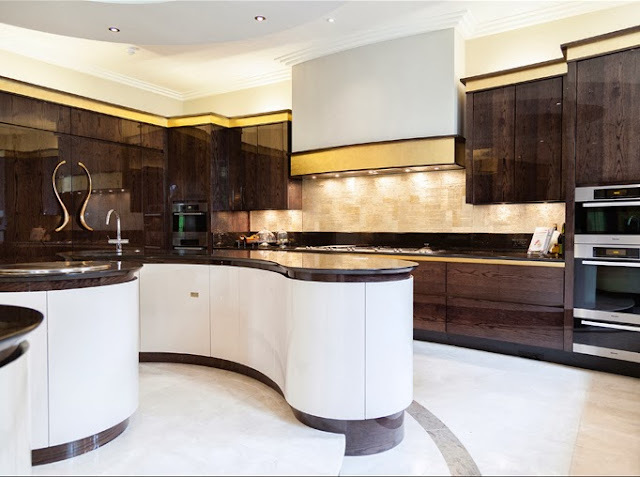 Good example of an excellent manufactured and beautifully fitted kitchens. Anyone can say wow to this properly installed kitchen with well-chosen ceramic tiles. Looks great! Love the futuristic look, especially the circular ceiling . Looks like we can be teleported to another dimension. I do not know whether it’s just me or if perhaps everyone else experiencing issues with yourblog. It seems like some of the written text within your posts are running off thescreen. Can somebody else please provide feedback and let me know if this is happening to them as well? Very nice post. Excellent writing and informative. Thanks for sharing. The interior design images given in this blog was really excellent. Thanks for sharing. Wow! Amazing design. I liked it.